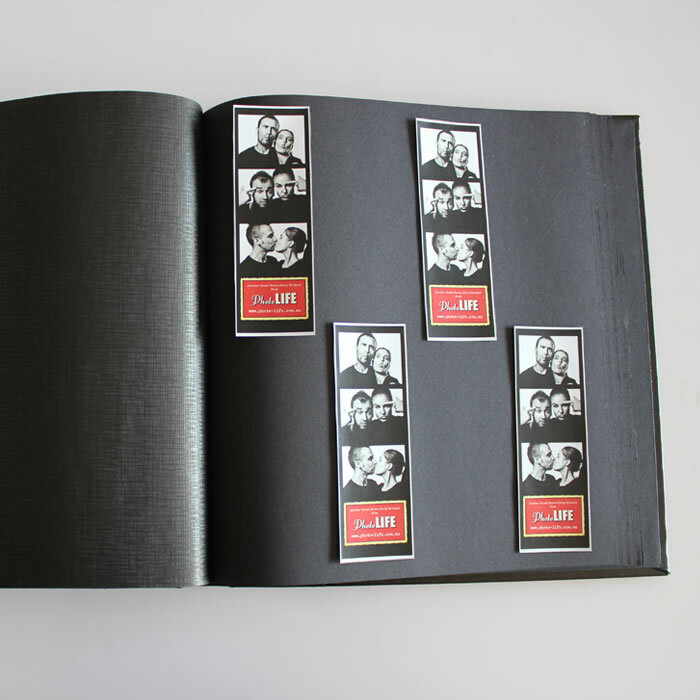 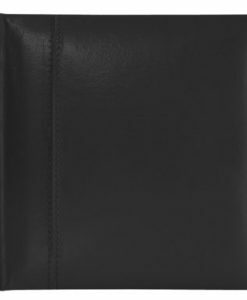 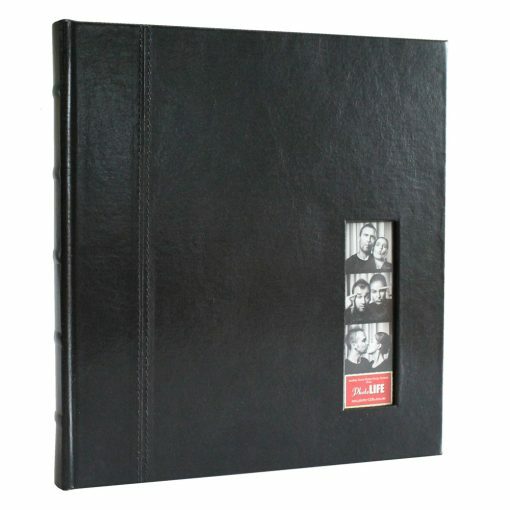 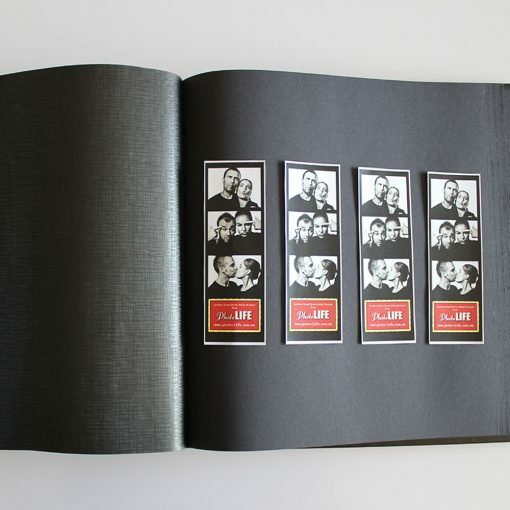 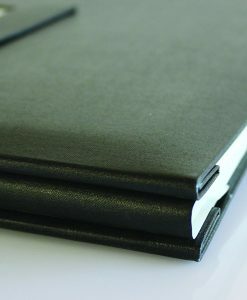 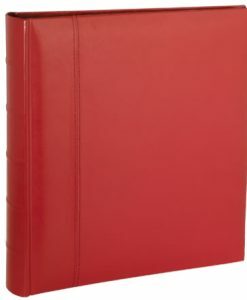 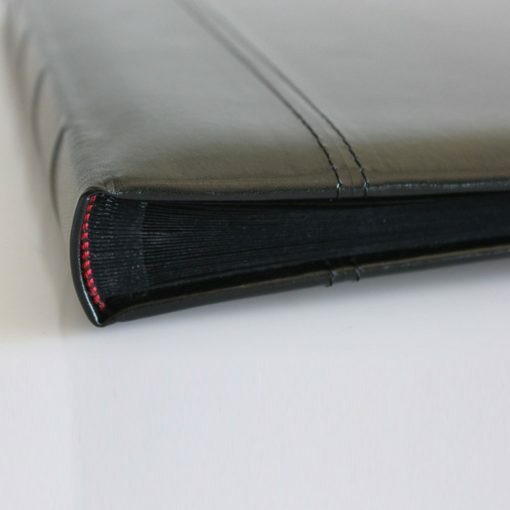 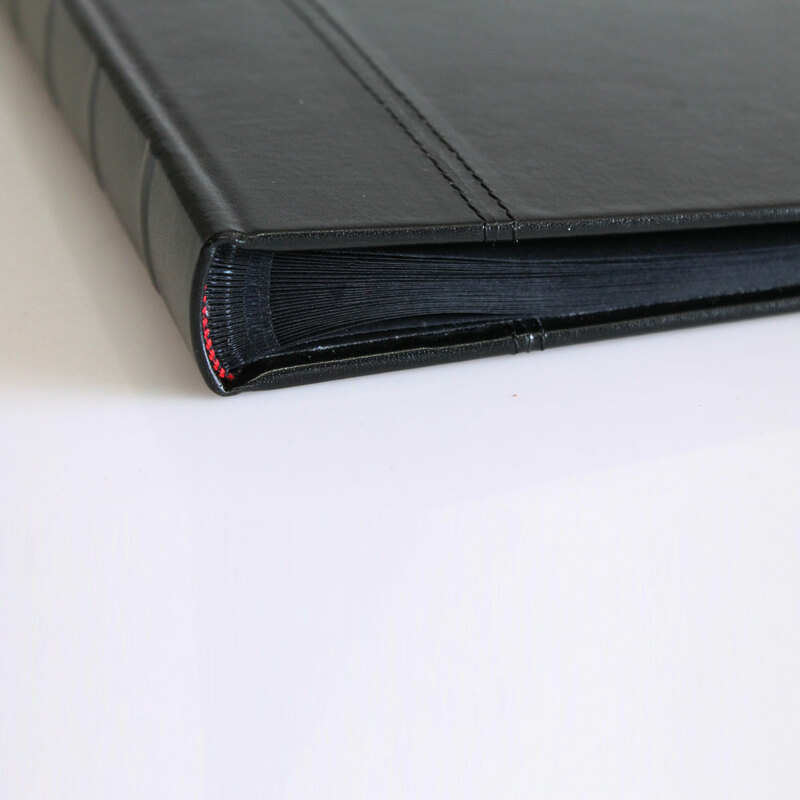 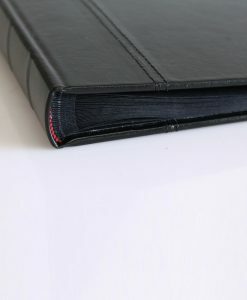 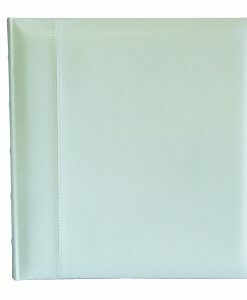 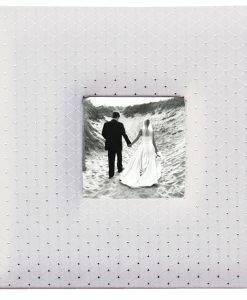 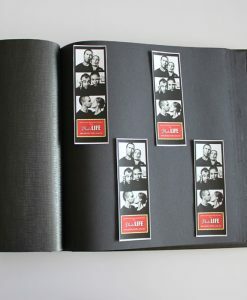 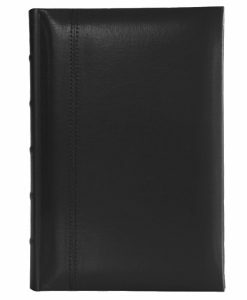 Made from the same prestige bonded leather as our Glorious Leather photo albums, this album has been designed specifically with the photobooth in mind. 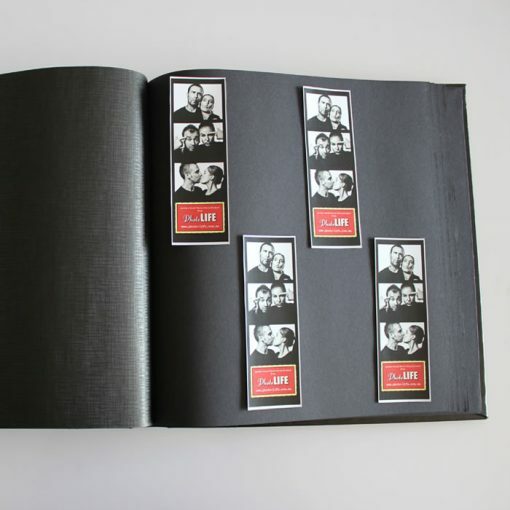 The front cover has a photostrip insert that can be used to personalise the guest book with your favourite photostrip or photobooth branding. 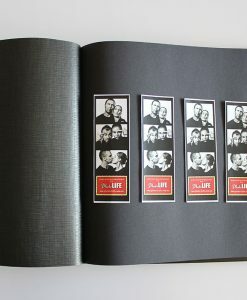 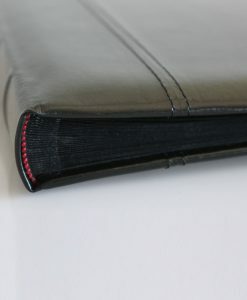 With ribbed spine, acid-free stitchbound pages, these albums are the perfect Host Memory Book for photo booth events. 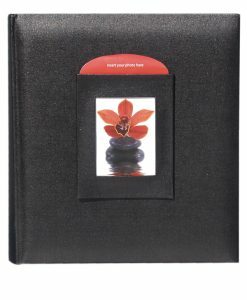 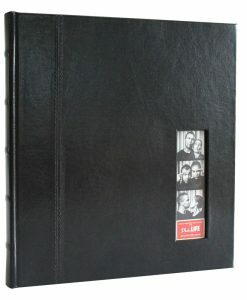 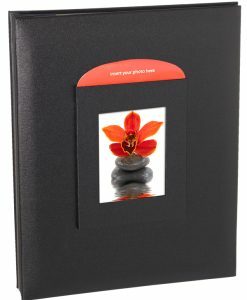 The photo album holds four 2×6″ photostrips comfortably on each page with room to write a personal note next to each strip. 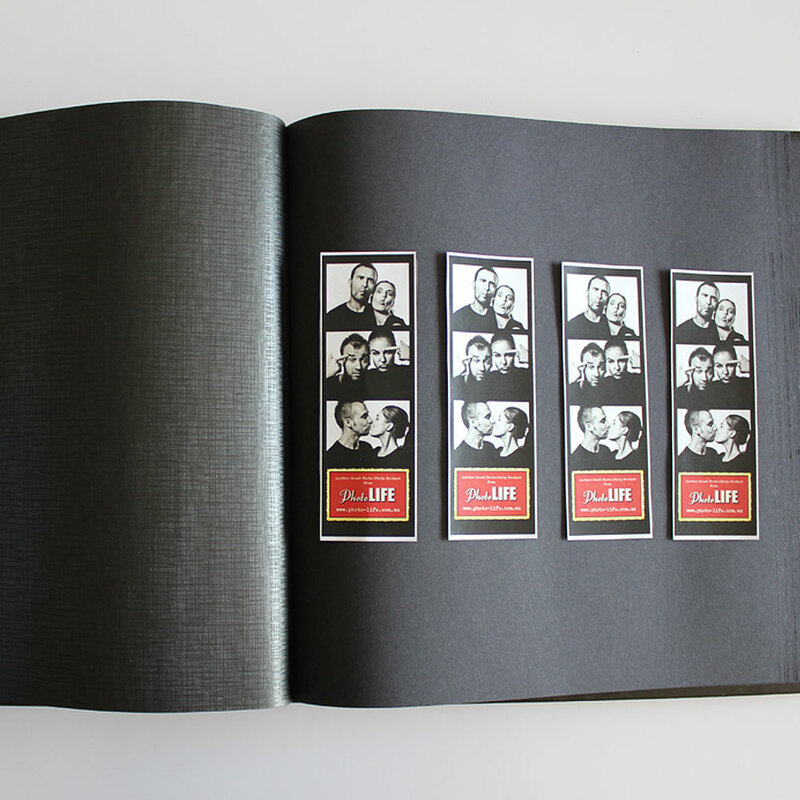 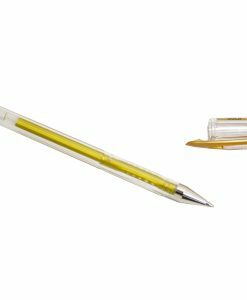 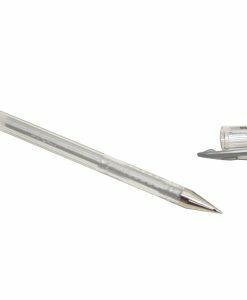 Pair this with a presentation box to make the perfect gift or keepsake for your event.